Approximately one third of participants experienced at least 1 acute respiratory illness during each study season. 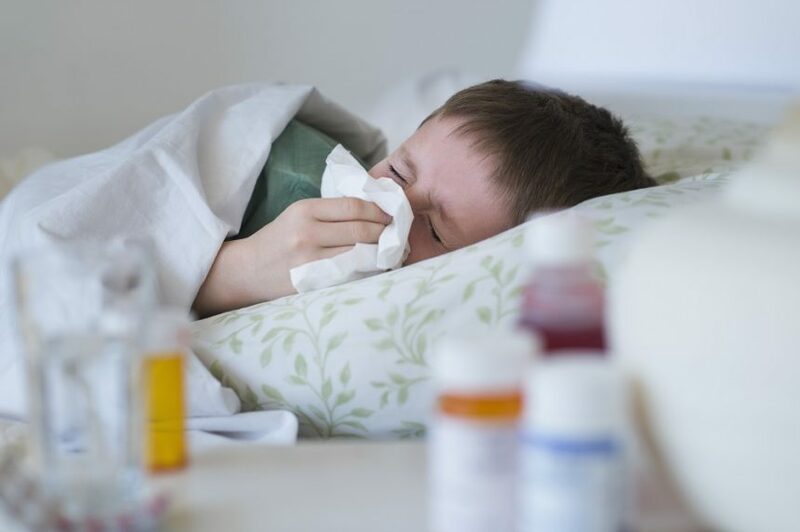 Compared with unvaccinated children, children who received the influenza vaccine had an increased risk for acute respiratory illness (ARI) caused by noninfluenza pathogens, according to research published in Vaccine. One barrier to influenza vaccination is the misperception that inactivated vaccines cause influenza. Whether there is an increased rate of laboratory-confirmed ARI following influenza vaccination was therefore investigated using a cohort subanalysis of children and adults in a 5-year community-based study from 2013 to 2016 in northern Manhattan, New York City. Of the 999 participants included in the study, 68.8% were children and 30.2% adults. Each study season, roughly half of participants received influenza vaccine and approximately one-third experienced ≥1 ARI. During the 14-day postvaccination period, the hazard ratio (HR) for influenza in vaccinated and unvaccinated individuals was similar (HR 0.96; 95% CI, 0.60-1.52), whereas the hazard ratio for noninfluenza respiratory pathogens was higher (HR 1.65; 95% CI, 1.14-2.38). After stratification by age, the hazard ratio for noninfluenza pathogens remained higher for children (HR 1.71; 95% CI, 1.16-2.53) but not for adults (HR 0.88; 95% CI, 0.21-3.69). This study used 3 consecutive years of data, including nonmedically attended events and examined an extended postvaccination period to increase generalizability. However, because this was an observational study design, there may have been unmeasured confounders. Furthermore, the uniformity of demographic factors may limit external validity. The results, however, do confirm some patients’ experience of ARI following influenza vaccination. “Future research could investigate whether medical decision making surrounding influenza vaccination may be improved by acknowledging patient experiences, counseling regarding different types of respiratory viruses, and correcting the misperception that all ARIs occurring after vaccination are caused by influenza, while emphasizing the importance of influenza vaccination,” concluded the investigators. Rikin S, Jia H, Vargas CY, et al. Assessment of temporally-related acute respiratory illness following influenza vaccination. Vaccine. 2018;36:1958-1964.